VMA Electric is your trusted source for premium home generators in Marlborough, Natick, and other nearby Massachusetts communities in the MetroWest area. We understand that going without power – whether a major storm comes through the Northeast or a squirrel gets into the nearest transformer – is something that no one wants to go through, and for that reason we proudly provide exceptional home generators. Whole house generators that are capable of powering every electrical device in your home for as long as the power is out. These units will be securely installed into the ground outside your home. No matter the generator that you choose for you and your family, you can be 100 percent certain that it will be designed to last well into the future, consistently providing the power you need. 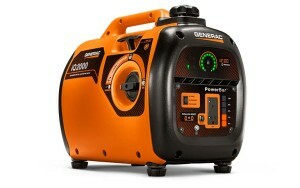 We only sell and install generators from Generac, one of the nation’s most trusted generator manufacturers. All of the generator systems that we offer are engineered to switch on only seconds after municipal power goes down, so you can continue life as normal without skipping a beat. To find out more about the different Generac generators that we offer and can install at your home, please contact VMA Electric today. Whether you’re in Marlborough, Natick, or any other MA community, our team will be pleased to serve you.